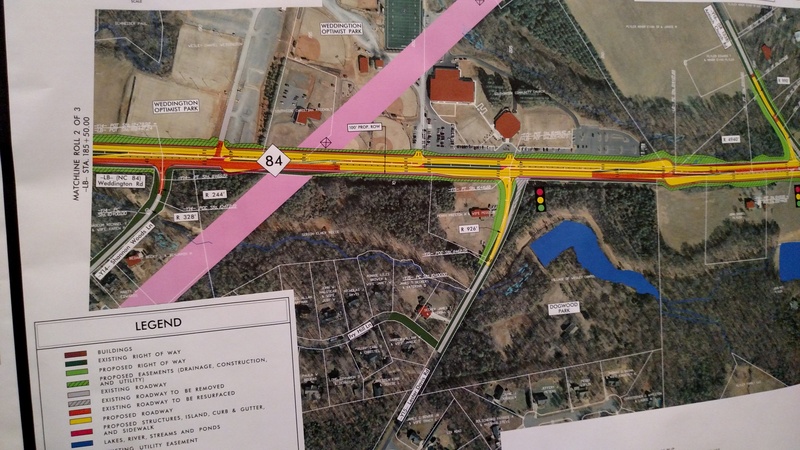 WCWAA is going to LOSE fields as part of NCDOT’s Hwy 84 widening project. WE NEED YOUR HELP NOW TO SEND COMMENTS to NCDOT BY FEBRUARY 26th. This project is planned to start as early as 2017 and will last for several years. As currently planned, the project is a four lane road with a 23 foot raised median, ten foot berms in both directions, and 2.5 foot curb and gutter. This takes several acres from WCWAA/Optimist Park and doesn’t take any of the undeveloped land across the street. ***Please email your comments to Ms. Anamika Laad, NCDOT, atalaad@ncdot.gov. Comments: Please do not take our fields! The current NC 84 widening project takes valuable land from WCWAA / Optimist Park and our children. WCWAA is a 501c3 that was formed to provide recreational sports opportunities for the youth of the Weddington - Wesley Chapel areas because we do not have any town, county or state funded parks. If you take our fields to widen Hwy 84 our children will have nowhere else to go. Our programs serve over 6,000 youth each year. Our fields are overcrowded but land is expensive and we can’t afford to expand. If you take away our parks we can’t just go buy land and build fields somewhere else. Please add a deceleration turn lane off of Hwy 84 at both entrances to the park to make park access safe. We urge DOT to work closely with WCWAA’s Board to gain a greater understanding of the impact that the proposed construction and roadway will have on the Park and our children. PLEASE SEND YOUR COMMENTS TODAY! THE DEADLINE FOR ALL COMMENTS IS FEBRUARY 26, 2016.